The P.G. Wodehouse exhibition at the British Library that I mentioned a few weeks ago is now happily in place, and Marion and I visited while in London earlier this week. It is a fairly small affair, in the Sir John Ritblat Treasures of the British Library room. The last exhibit I saw in that space was devoted to Karl Marx. The Wodehouse one is cheerier. It is a sample of the manuscripts and other items recently sent to the Library by the Cazalet family (on permanent loan, I think). There are some photos and first editions, but the manuscripts are the interesting things.There is a chapter plan of Aunts Aren’t Gentlemen (my favourite Wodehouse title, though not his best novel) and some manuscript pages that show copious rewriting to get the light and informal tone just right. Anyone pondering a Ph.D. subject could do a lot worse than to follow a Wodehouse novel from plan to print, finding out exactly what he added at each stage. Mrs Westbrook has written to say that the Strand have raised my price from one hundred and fifty quid to two hundred per short story, which with the American rights will make about a snappy six hundred quid per s.s. – noticeably better than dab in the eye with a blunt stick. 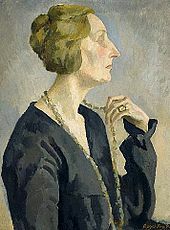 There was an awful moment about 25 years ago when Edith Sitwell leant towards me like a benevolent eagle and said, ‘Mr Waugh, you may call me Edith.’ I did not dare address her for four years…. 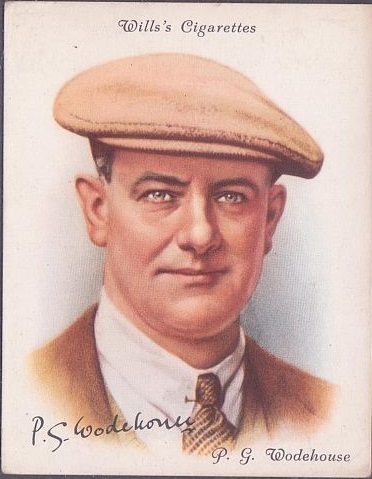 This Wodehouse exhibition is small, but most worth seeing. The big show at the British Library is by contrast enormous. Anglo-Saxon Kingdoms: Art,Word, War is a true block-buster, with astonishing manuscripts lent from all over the world and collected together here to give a portrait of an age. It is immensely impressive, but left me feeling how little I know of the six centuries covered by the show. But one can’t know everything, and I’m not too bad on the years 1890-1930, I tell myself. This entry was written by George Simmers and posted on December 7, 2018 at 1:07 pm and filed under novels with tags British library, Edith Sitwell, Evelyn Waugh, exhibitions, P.G. Wodehouse, Strand Magazine. Bookmark the permalink. Follow any comments here with the RSS feed for this post. Post a comment or leave a trackback: Trackback URL. Poor Edith, were she to come across this nugget of information, might feel highly offended. Yours truly is somewhat green with envy that you could make it to the exhibition. Thank you for sharing your experience with us. Thank you so much for reporting on this (sadly, I won’t be able to get there). I cannot believe dear Evelyn was ever humble. I guess the British Library exhibition and the impending stone at Westminster Abbey completes PGW’s rehabilitation in England for his wartime indiscretion, at least as far as the establishment is concerned. The catalogue of the Cazalet trove suggests there might be some interesting reading on that subject. Go for it, someone on the spot. Too hard from the other end of the earth.